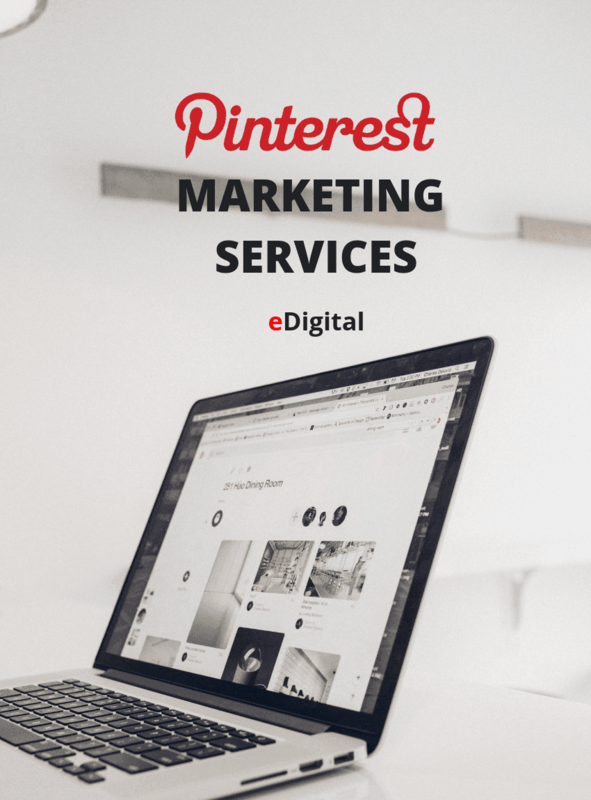 Find below eDigital’s Pinterest Marketing Services in Sydney, Melbourne, Brisbane or any other city in Australia. We offer Pinterest Marketing support and Pinterest Training for your business. WHY HIRING SYDNEY PINTEREST MARKETING SERVICES? Pinterest is all about curating the things and activities you want to complete on a big life change event. You are more likely to switch brand preferences than anyone when you are going through a big life change. When you have a baby all of a sudden you cannot buy chemicals to clean, you start feeling you need an SUV. The makeup you wear on your wedding day is the makeup you will likely be using from weeding day onwards. If you are a fashion, automotive or beauty company, you use Pinterest to reach this demographic, which is psychologically inclined to meeting new brands. It drives more brand lift than less-focused tonnage. MONTHLY SERVICES: We work on a monthly retainer with clients and we post and manage their Pinterest Marketing on their behalf. Great for businesses who have not time or the resources to daily posting on the platform. Activities might include posting, influencer engagement programs, followers engagement tactics (likes, comments), rich pins, promoted pins (paid pins) and buyable pins. TRAINING: With completely SOLD OUT sessions at General Assembly and The Digital Marketing Connection, eDigital Agency has instructed hundreds of business owners, marketing managers, social media managers and Pinterest enthusiast on how to plan and execute a successful Pinterest Strategy. eDigital Pinterest Marketing Audits are great for brands that are looking to improve the presence, content quality and amplification of their Pinterest Presence. An eDigital Pinterest Audit will spot those hidden opportunities your brand can unlock in order to improve your Pinterest reach, engagement and amplification. Our Pinterest Audits are completed by our professional Social Media Specialist and Pinterest expert MAU. He will not just tell you what to do but will bring some of your industry specific best practices and examples other brands are implementing to win followers in Pinterest and reach business objectives. 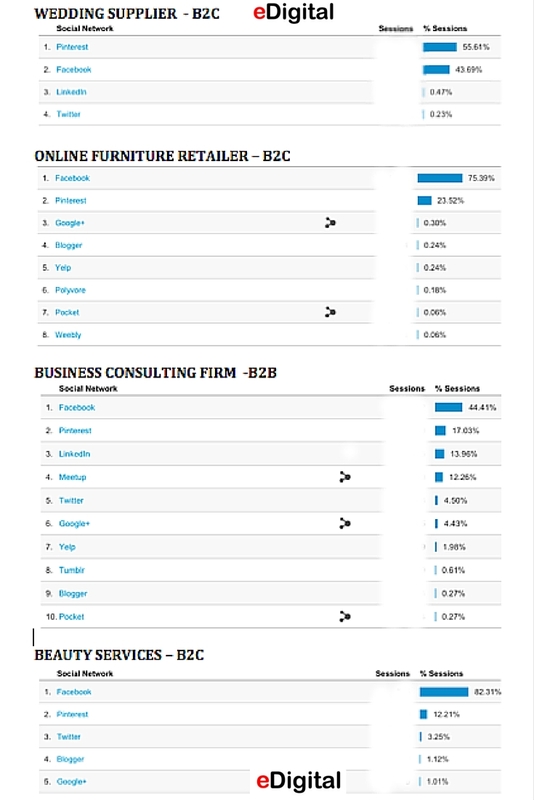 To find more about our Pinterest Marketing Audits, please contact us today. People around the world are using Pinterest to search, find, curate and save visuals of things they either want to built, complete or buy at some point of their lives. From small planning projects to major “life” events people are curating visuals (images, photos) they found over the internet to be used as “inspiration” for things they want to achieve in the near future. Renovating: home improvement, interior design, furniture. Next holiday or travel adventure. New career: job seeking services, recruitment services. Throwing a party or dinner and looking for food, ingredients, table decoration and entertainment ideas. Fashionistas: people who are obsessed with a specific fashion trend or clothing pieces or accessories: red vintage hats, etc. Hair and Beauty lovers collecting tips for make up, hairstyles, etc. Health and Fit Junkies: people who want inspiration for their next yoga retreat, detox program or bootcamp provider options. From this same study of 2,000 people, and of those who have actively used Pinterest in the past 6 months: 87% have purchased something because of Pinterest. Do you want to increase sales? You must be on Pinterest! Check out our classes page to find our next Pinterest classes. Subscribe to our e-newsletter and get alerted about our next Pinterest class and other events. eDigital last Pinterest class was held on the 13th of May 2015 at Fishburners Start Up space in Ultimo, Sydney, Australia. This classes was completely full and was delivered to The Digital Marketing Connection Meet Up group. Listen MAU. on SBS Radio talking about the latest Pinterest class in Sydney. Do not have time for Pinterest Marketing? Sydney based eDigital Agency can help you with Pinterest Marketing Services including Pinterest Marketing Strategy, Pinterest Set up, pin and board optimisation, rich pins validation, promoted pins management. Pinterest Audits. eDigital Pinterest audits are great for brands that are looking to improve the presence, content quality and amplification of their Pinterest Presence. An eDigital Pinterest Audit will spot those hidden opportunities your brand can unlock in order to improve your pinterest reach, engagement and amplification. Our Pinterest Audits by our dedicated Pinterest Consultants not just tell you what to do but will bring some of your industry specific best practices and examples other brands are implementing to win followers in Pinterest and reach business objectives. To enquiry about our Pinterest Audits, simply send us an email today! To know about our next Pinterest classes, please follow us on Facebook or subscribe to our e-newsletter where more than 500 industry professionals are already receiving our social media training invites. Not sure how to implement a Pinterest Strategy or decide best Pinterest tools for your brand? eDigital Agency runs Pinterest strategic sessions and Pinterest training with business owners, marketing managers or brand managers to help them roadmap their Pinterest goals. Pinterest workshops can take up to 4 hours and can be run at your offices in Sydney or any other city in Australia. ✔ Pinterest Objectives defined and aligned to your overall marketing plan. To book a Pinterest workshop with one of our Pinterest Consultants, simply contact us today! Source: General Assembly student feedback forms. To book MAU. as your next Sydney Pinterest speaker, simply contact us today! 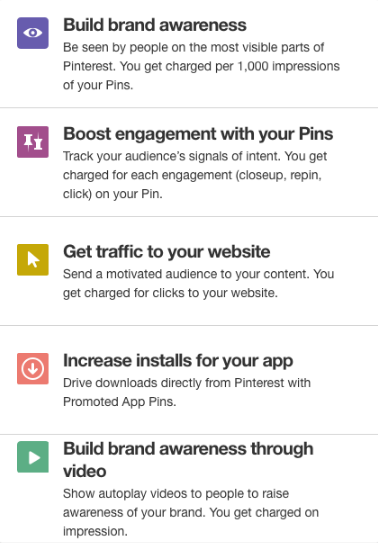 There are 5 different Pinterest Advertising objectives you can choose from. eDigital can help you create, setup and optimise your Pinterest Marketing. Top Best Pinterest tools and SEO Services Sydney Australia. Learn more about Social Media by following us on.Facebook, Twitter, Google+, Tumblr, BlogSpot, LinkedIn. 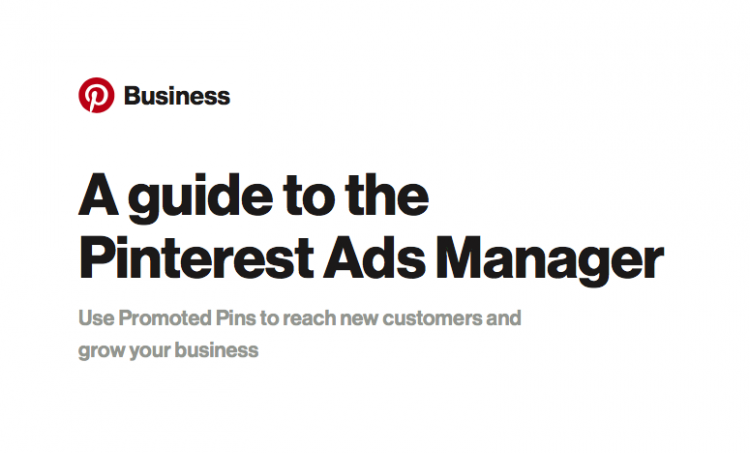 Learn more about advertising opportunities on Pinterest via the below Official Pinterest Advertising Guide.